I see this type of situation often. A coyote is walking on a park trail when a leashed dog and walker appeared in the distance. The coyote, of course, was curious about the dog and walker — they both had their eyes riveted on the coyote. The dog/owner pair and the coyote watched each other for a few minutes. The walker exhibited amazement, the coyote probably had self-preservation in mind — it is the dog staring that made the coyote uneasy. 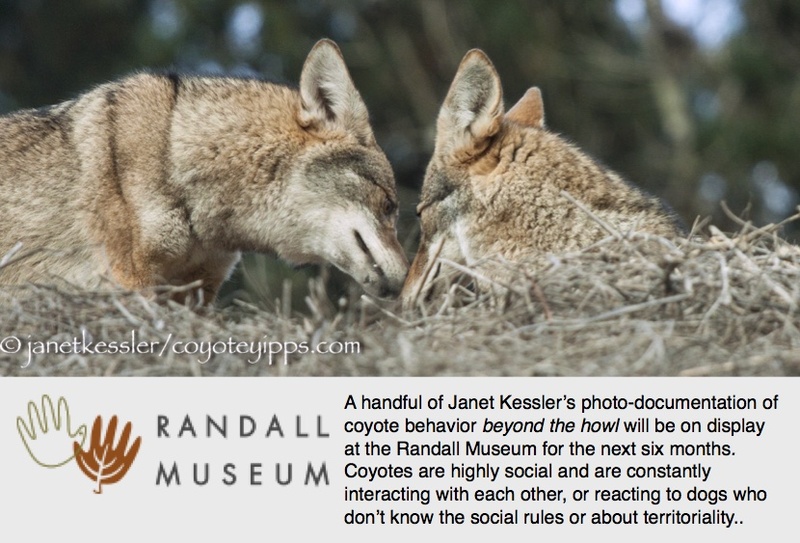 The coyote’s behavior alternated between sitting while watching intently, and backing off while looking over its shoulder with an eye fixed on the onlookers. From their movements I could tell that both sides wondered if they should leave. Then both began heading in opposite directions at about the same time. The owner and dog went out of the park, disappearing from view. When they did so, the little coyote turned around and hurried in their direction to see what was happening. Coyotes often are very curious about “what are you doing and where are you going”! The walker and dog were gone, so the coyote turned around, foraged a few minutes, and then continued its own trek.